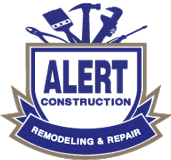 Alert Construction is a North Carolina licensed general contractor (#78419) serving the Piedmont Triad area. Our services include roofing repair and emergency roof repair, carpentry, painting, and handy services. We also build quality homes to your exact requirements. Ed Regensburg started Alert Construction in 1999. He has a Bachelor of Science in Marketing from State University of New York at Buffalo and an Associate Degree in Aviation Science from Guilford Technical Community College. Ed is a Real Estate Investor and Board Member of Triad Real Estate Investors Association. He also served as past member on the Board of Directors for the Better Business Bureau. In his spare time, Ed enjoys flying airplanes. The most rewarding part of flying his plane is his volunteer time for the past 15 years with Angel Flight Soars. The goal of Angel Flight Soars is to remove transportation as an obstacle to medical care. Pilots with this program donate their planes, fuel and time to fly missions whenever there is a need. When he is not flying, Ed can be found on the golf course or diving in warmer places. Alert Construction has been proudly serving homeowners, realtors, insurance agents and churches for the past decade. Our mission is to provide excellent service with professional workmanship on every project. Our great staff has over 100 years of combined experience, which we use to exceed your expectations. Many Triad Piedmont homeowners, realtors, property managers, churches, and insurance agents rely on Alert Construction for quality work at affordable prices. Ed Regensburg started buying and fixing houses to rent. During this time, realtors started hiring him for their home inspection repairs. It wasn’t long before Ed had a line of people interested in having him build them a house. This is when he licensed the Alert Construction name. The company started from their home, before eventually moving into a four room office. In 2010 Alert Construction moved into the company’s current location in Greensboro; eventually taking over two adjoining buildings. One building serves as Alert’s training center for staff and a place to host seminars for insurance adjusters and agents. Ed has his faithful companion NOODLE the Poodle (also known as the CEO of Alert). When Ed's not working they can be found outdoors, traveling, and volunteering their time and talents. Our A+ rating with the Better Business Bureau is a testament to our dedication to providing quality solutions and top-notch customer service. We were voted Best Home Repair Company of the Triad by the readers of Yes Magazine in both 2011 and 2013. For the past decade we have proudly been providing our professional home improvement services to local homeowners, realtors, home inspectors, insurance agents and churches. Whatever’s bothering you with your home, we can help! We also have new construction services readily available to build quality homes to your exact requirements. Whether you live in Raleigh or Burlington we can help improve the quality of your home! Contact us today to get started, we provide free inspections and estimates to all local homeowners. Our service area stretches throughout the Piedmont Triad Area, including Greensboro, Winston Salem. High Point, Cary, Chapel Hill, Concord, and cities nearby! Our professionals will work closely with your insurance adjuster to ensure you receive the full scope and value of your replacement coverage. We will even take care of the insurance paperwork for you, to make the process as stress-free as possible. We know it's a difficult time and we're here to help. Our trained experts will assist you to finalize claims that are not yet filed, denied, calling for repairs or improperly settled. Learn more about our insurance claim services! If you are a North Carolina realtor, we can also help expedite the real estate process and provide peace of mind to you and your client. Alert Construction specializes in interior and exterior painting, handyman services, and home remodeling and building services. No job is too big or too small. No matter the size of the project, we always strive to give our customers the level of service and quality results they deserve. From building you a customized home, to remodeling your exisiting one, we can address all your home improvement needs. Contact us today to get started! We provide Free Estimates for all of our services to homeowners all throughout The Piedmont Triad Area, including: Raleigh, Greensboro, Winston Salem, Durham, High Point, Cary, Chapel Hill, Concord, and cities nearby!